Twitter has grown exponentially as a tool for educators to use for professional networking, sharing ideas, finding resources, and seeing what’s trending in media, politics, and pedagogy. Just check out this exhaustive list of education chats (thanks to Tom Whitby for this) to get an idea of all the education conversations happening on any given night on Twitter. Over the summer, I made a decision that my graduate students (who are prospective teachers) would not operate merely as an isolated classroom community, but part of the wider professional world of teachers. Technology has made it quite possible to learn with and alongside other teachers more than 2000 miles away via blogging, twitter, pinterest, etc. This is not to say that technology is the ONLY way that my pre-service teachers should collaborate with practicing teachers – for most of my teacher education courses, I make sure my students also work in the field, alongside a teacher for at least a few hours a week; this hands-on experience is essential. However, it is also now essential for teachers to begin to see themselves as part of a global community of practitioners, building and sharing knowledge about teaching and learning together. Thus, here I report about one of my “networking” experiments this semester with my pre-service teachers: Twitter Chats. I began the semester talking about teaching in the 21st century. We explored new ways of connected learning and how this influenced teachers practice. I invited my colleague Meenoo Rami, founder of #EngChat, to come and talk about her teaching and practice. I asked my students to register for a twitter login by this day. We reviewed the basics and tried tweeting introductions. A few weeks later, I co-hosted a twitter chat, #NetworkedTeacherChat, with my colleague Dr. Leif Gustavson, while students were in class with me. In the front of the room, students could see the twitter discussion on TweetChat.com. We talked about making some hashtags for our class. This was an amazing experience for my students, and a wonderful way for them to connect with other educators across the country around important educational issues. 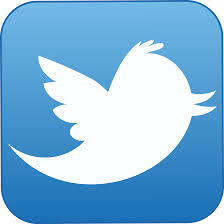 Try tweeting yourself for a bit before teaching Twitter; cultivate your online professional network. Introduce students to Twitter slowly over the semester/year – step by step. Invite guests to speak about their experiences with Twitter. If you decide to hold your own chat, try to schedule it at a time that doesn’t conflict with too many other chats. You don’t want to draw away from other chat communities. Stay positive and have fun – use twitter to foster the class culture and community outside of class. Have students blog about experiences, so they can link to their work in Twitter chats. Wordness: A post deserving of the the hashtag #word (translation, if you are old school: “word up”).